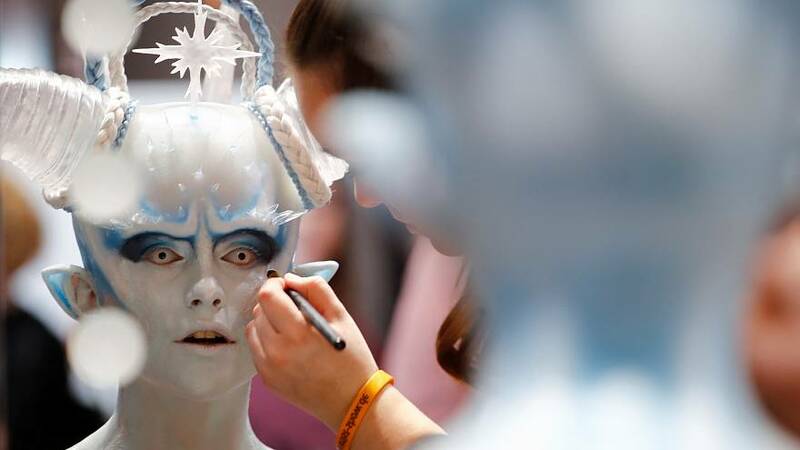 Six apprentice makeup artists showed off their best handiwork with brushes, prosthetics and maquillage on Sunday (March 31) at the German makeup artistry championship. Participants had just one hour and 30 minutes to complete the most realistic and creative look inspired by the theme "ice age". Ranging from a "Game of Thrones" white walker to British royalty with a missing eyeball, the looks were surreal and over-the-top. Attractive prizes from 500 to 1,000 euros were up for grabs.